wonderboyrox on You just got Noped! Alright, so.. I like where your head is at with this reply. Now that you've got a better idea of what I'm trying to accomplish here, let me address your new suggestions. Vault Skirge over Thopter. Skirge is a fantastic card, no denying it.. 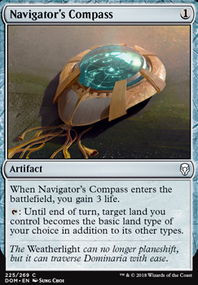 BUT, Thopter offers me something that Skirge can't. A potential T1 5/5 flyer. I don't care what modern deck you're playing.. anyone that has an opponent dropping a 5/5 flyer on T1 is going to have sweaty palm syndrome for the duration of the round. Albeit, it isn't the most likely thing to happen.. But, A T1 Citadel, Opal, and Thopter isn't impossible.. and yes, I've had it happen. Even if the Ensoul doesn't happen until T2.. it gives me the opportunity to get a soft lantern lock out on T1, with a ready attacker on T2. It's really a question of speed vs lifelink.. and since my goal with this build was more aggro than traditional lantern builds, perhaps you can understand my decision. 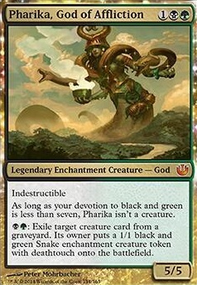 Scrapheap Scrounger is a no-go for this deck. Why? My creature base is extremely lite. It just wouldn't be as effective as you would otherwise think. Also, it ties up mana.. which "could" slow down the deck, has zero evasion for when I may throw an Ensoul on it.. and can't even chump block for me. As for Glaze Fiend and Painsmith , all I have to say is.. eh.. maybe?? They really don't seem to fit the flow or direction of the deck. Both of these cards reward multiple artifact drops in the same turn.. like something you'd see in a storm deck. And beyond my first couple of turns.. I'm not puking my hand out. In fact, with one of these cards in my opening hand.. it would almost encourage me to hold on to those otherwise early drops.. until these guys could attack. Which slows down the whole plan and could really be more a detriment than anything. And.. Inkmoth Nexus is a "temporary" artifact creature with evasion.. meaning, if I were to ever Ensoul it, I would lose the enchantment at the end of turn. Also, being a colorless land, it doesn't do anything to help my manabase.. and it can't help activate things like the Opal. So, I don't really see the benefit of having that in this type of deck. The deck that normally plays Puresteel Paladin and Sram, Senior Edificer in Modern is the Cheerios combo deck which uses a bunch of cost equipments like Accorder's Shield and Paradise Mantle, eventually casting Retract and winning with Grapeshot or Monastery Mentor. When it works it's a bomb and I know because I play the deck now and then - Cheap & Cherio. Now your deck is fairer than that, but the inclusion of the two main engines means that your opponents are probably expecting Cheerios. I think you can play to that a little, even if you stay in mono white. You could use Glint Hawk or Leave / Chance to leverage more card draw. You might also want to consider splashing a different colour, each could be usable; red (Goblin Gaveleer), blue (Artificer's Assistant), black (Painsmith) and green (Assault Formation). Splashing would let you run other cards outside of those I've suggested too, but those suggestions are the first that come to mind. My closing thoughts are that you might want to run a few more equipments in the deck and possibly look at the keywords Affinity, Metalcraft and Improvise. I hope this is of help and have fun brewing your deck. I would also consider sideboarding Painsmith. Your deck is drawing almost exclusively from the standard card pool, but with the modern pool there are some cards which are direct upgrades. For example you have Workshop Assistant but Myr Retriever does the same thing and costs less to play. 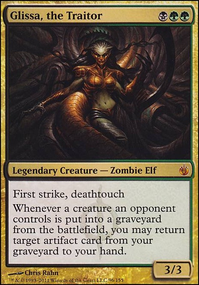 Another example would be Foundry Assembler, in a mono black deck with just swamps, why not play Dross Golem instead? 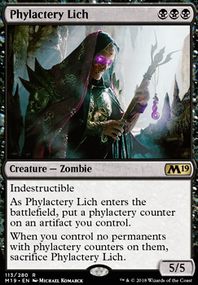 Your deck also seems to want to do two things, be Aetherborn tribal and be an artifact deck, that sort of schism tends to result in a less optimal deck. Which brings me to my next point, you aren't running 4x of any of your cards, not even an all star like Gifted Aetherborn, this means your deck will have little or no consistency over several games. 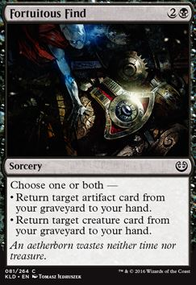 If you were wanting to go the black artifact route then; Vault Skirge, Phylactery Lich and possibly Scrapheap Scrounger, Glaze Fiend or Painsmith alongside Chief of the Foundry Ornithopter and Foundry Inspector this would give a reasonable artifact based aggro structure. If on the other-hand you really want to do Aetherborn tribal then; Midnight Entourage, Adaptive Automaton, Weaponcraft Enthusiast and possibly Defiant Salvager and Flayer Husk alongside Aetherborn Marauder and Gifted Aetherborn, this is probably more mid-range than aggro, but it would be a start. My last point is on removal, if a removal spell costs more than it isn't really viable. 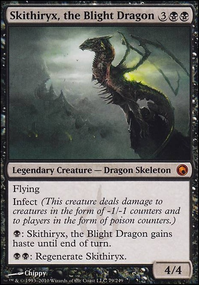 In mono-black on a budget use Victim of Night, Smother or Grasp of Darkness and if your not on a budget Fatal Push. I hope that is of some help, have fun brewing your deck. Sadly Chrome Mox is more affordable than Mox Opal because the former isn't modern legal. I also think you should switch Unnatural Endurance for Supernatural Stamina, while they are almost functionally the same, Stamina can save your creature from a -x/-x spell. Hello Darth_Savage, thank you for taking the time to look at my deck and offer some suggestions. Originally I made this to be standard legal when the sets involved had not rotated out. I actually never re-examined it for Modern besides changing the tag. It is also themed around aetherborn in black and the Marionette Master. I like your suggestions of Glaze Fiend, Disciple of the Vault and Painsmith. They are all great for artifact black. The Glaze Fiend in particular with the Painsmith is excellent synergy. I am going to take your suggestions and add them to the maybeboard. I probably will not use them in this deck though since it is theme-based. But now I would like to tinker with the cards you suggested. Now, about the Phylactery Lich. This guy incredible in the right shell. And Sagarys put this together; Ultra-budget: Wrath of the Witch-King. Take a look if you would like to see a very interesting frame around the lich.